Manitoba Hockey Hall of Fame President Don Kuryk was invited to the Norway House Treaty & York Boat Days for a special ceremony to honour three local residents for their pending induction to the Hall. 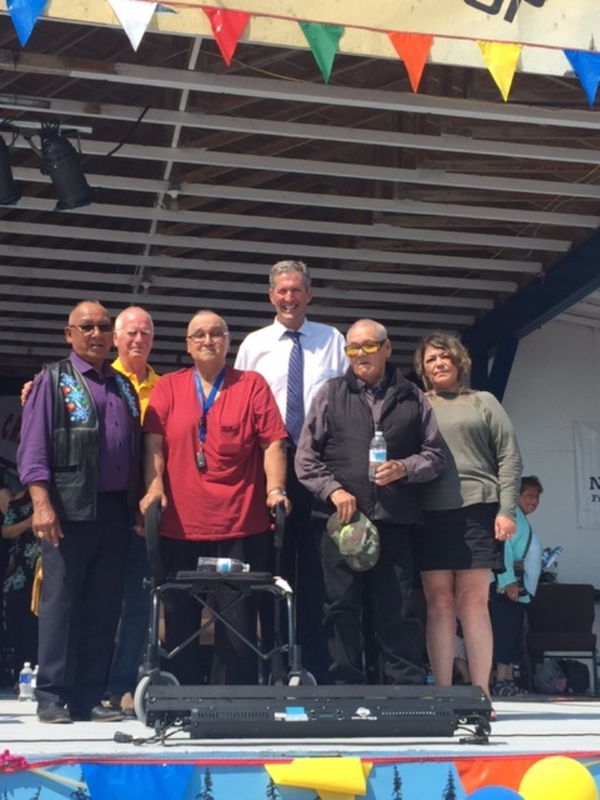 Joined by Premier Brian Pallister, Don and Chief Ron Evans extended congratulations to John Henry Sr., Paul Hart and Ted Paupanekis (represented by his daughter, Loretta). The three gentleman were players on the 1960-64 Assiniboia Residential School Program that won 5 consecutive Provincial championships. They were presented with a framed team photo and jacket with the MB Hockey Hall of Fame logo. The 1960-64 Assiniboia Residential School program will be inducted into the Hall on October 7, 2017 at CanadInns Polo Park.